After 2013 saw Red Cedar Technology acquired by CD-adapco and FE-DESIGN by Dassault Systèmes, mergers and acquisitions in the design exploration and optimization software industry took a breather last year. What could drive M&A activity in 2015? Of PLM’s big three, Siemens PLM seems much the most likely to contemplate a major acquisition in this area. Its LMS Virtual.Lab Optimization design exploration and optimization offering is based on technology licensed from Noesis Solutions, a relationship that naturally could lead Siemens eventually to seek to buy Noesis. Besides eliminating the risk of Noesis being acquired by a PLM or CAE rival, the move would secure ownership for Siemens PLM of a class of technology where arch-competitor Dassault Systèmes has arguably held an edge due to its early, farsighted acquisition of Engineous Software. There would also be some cultural fit—Noesis began in 2003 as a subsidiary of LMS (itself acquired by Siemens in 2012) and operated as such until being sold to Japan-based Cybernet Systems, a major Noesis distributor, in 2010. Of course Siemens PLM also has integration partnerships with ESTECO, Phoenix Integration and CD-adapco’s Red Cedar Technology, and could well pursue an acquisition of either of the first two, especially if it judged one to hold a compelling technological advantage. Needless to say, it could equally well leave its current strategy unchanged for the time being. Dassault Systèmes, as noted above, led the PLM industry into design space exploration with its 2008 acquisition of Engineous and has since continued to broaden its capabilities through focused acquisitions. In addition to FE-DESIGN, another such developer it purchased in 2013 was SFE, whose software for automotive body conceptual engineering and performance evaluation provides rapid geometry and topology optimization with respect to vibration, stiffness, crash and acoustics; its blue-chip customer list includes GM, Porsche, Fiat, Chrysler, Daimler, Ford, BMW, Volkswagen and others. We expect DS to continue looking out for targeted acquisition opportunities among respected specialty developers like these. PTC has executed a series of strategic acquisitions over the past several years, most recently Internet-of-Things technology developer Axeda and, before that, model-based systems and software engineering applications developer Atego. While moving on to acquire a design exploration software firm would not be inconceivable, we think this is not highly likely, at least any time soon. PTC’s Creo BMX (Behavioral Modeling Extension) is a capable offering, well regarded by expert practitioners we know who use it. Further, with its strong, and justified, emphasis on business areas it sees as differentiators—ALM, SLM, IoT—PTC has let its simulation offerings over time come to be somewhat under-marketed by comparison. We think it will serve the interests of practitioners and PTC alike if the company can find ways to give this part of its business renewed attention without slighting its other priorities. Among CAE majors, Altair enjoys something of the catbird seat in design exploration and optimization from its long, deep history with HyperStudy, OptiStruct and more recently solidThinking Inspire. Also enviably positioned is CD-adapco thanks to its acquisition of Red Cedar Technology, with which it had partnered to develop the Optimate tools for design exploration and optimization within STAR-CCM+ based on Red Cedar Technology’s HEEDS MDO. CAE leader ANSYS has a decade-plus history of acquisitions focused on expansion across disciplines and physical domains—for example its 2013 purchase of EVEN (Evolutionary Engineering), a provider of cloud-based analysis and optimization for composites—and into system services to manage simulation processes and data. 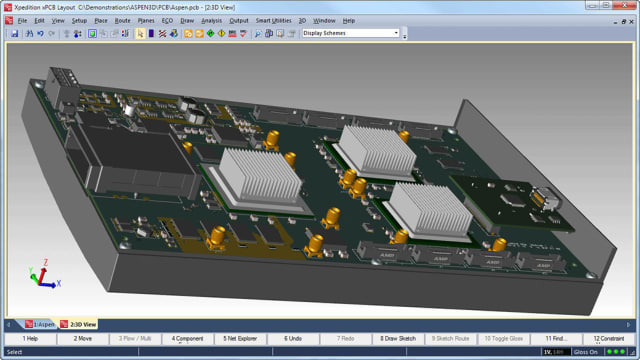 With the combination of DesignXplorer from its 2001 acquisition of CADOE, the underlying capabilities of Workbench, and its integration partnerships with ESTECO, FEA-opt, Noesis, Optimal Solutions, Red Cedar Technology, Vanderplaats Research & Development and others, we see little likelihood that ANSYS will undertake a large-scale design exploration acquisition. Instead the company will likely continue seeking acquisitions of discrete capability sets to further advance its roadmap for simulation-driven product development. MSC is of course much focused on its new, visionary MSC Apex computational parts-based CAE system. In design exploration and optimization, the company and its customers seem well satisfied with its gradient-based optimization, multi-run and design space exploration, and design improvement process integration and management offerings, and its many integrations with partners including Collier Research, Comet Solutions, ESTECO, FE-DESIGN, FEA-opt, Noesis, Phoenix Integration, Red Cedar Technology and others. Of all CAE’s leaders, we think ESI Group could prove most likely to make a substantial design exploration-related acquisition. It showed an appetite for such moves most recently when it took a 75% stake in CyDesign Labs for that company’s model-based design optimization and other capabilities. Building on the strength of the ESI multi-domain optimization solutions, expansion into full-fledged design space exploration would be a logical furtherance of ESI’s vision for virtual product engineering. Should it decide to do this via acquisition, it could elect either to purchase a broad-line design exploration developer, or to buy key point capabilities and integrate them with its VisualDSS framework, much as ANSYS did in acquiring DesignXPlorer to sit atop its Workbench platform. A global roster of commercial design exploration and optimization software developers, including some potential acquisition candidates less well known than those mentioned above, appears at the end of Design exploration vs. design optimization. Update: This article was revised January 20, 2015 to reflect that PTC’s most recent acquisition was Axeda, not Atego as originally reported.